When Cain killed Abel and God made him move away... the scriptures make it sound like he married someone already existing and not from Adam and Eve. What is your take? A: No, you are not the first person to ask this. In fact, this question has been raised many times. Perhaps most famously during the Scopes Trial. It was captured in this classic movie clip from the fictional reenactment of the trial called: Inherit The Wind. No matter how many times it has been asked, it's a good question. One that Christians ought to be able to answer better than in the above clip! In fact, that embarrassing answer would have been better had it only occurred in a movie. But it didn't. I believe that our culture is still feeling the impact of poorly defended biblical truth. Especially as it relates to this realm of "Science vs. Bible." So, you asked for my take -- here goes! According to this passage, Eve is the mother of all the living. This is translated from the Hebrew word kol which means, well, "all." Every living human being has their ancestral source in this first couple. Cain's wife, too! Adam and Eve are the source of all human beings. In all places. At all times. The population of the human race was drastically lowered at the time of the Flood. Down to 8 people. Every current living person can trace their lineage all the back to one of the 4 couples on the Ark. So, where did Cain get his wife? She was one of the children of Adam and Eve. She was Cain's sister. Or, possibly a grandchild of Adam and Eve and thus, Cain's niece. The way the question was asked, at least in the Scopes Trial, demonstrates a level of ignorance. From both the questioner and the answerer. They were operating on the assumption that there were just 4 people on earth at the time. Adam, Eve, Cain and Abel. A common interpretive problem is reading assumptions into the text. 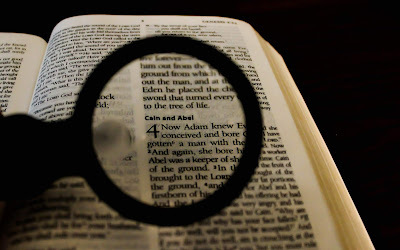 Our task as handlers of the biblical revelation, however, is not to add our assumptions in. We are to extract God's message out. That's the proper direction. That's how He intends it to be received. So, where does the faulty assumption enter in this case? It enters when the Bible names 4 people and we add a little word with big significance. "Only." There are only 4 people. But that's not a fair assumption! And, it's not what the Bible says. If we allow the text to speak for itself, we see in Genesis 3:20 that Eve is the mother of all the living, that Adam and Eve had two sons (at least), named Cain and Abel, and that these two grew up and entered into some semblance of a profession. Abel, a shepherd (4:2), and Cain, a farmer, (4:3). God was pleased with the offering of Abel and not Cain. Cain decided to murder his brother (4:8-9). God's judgment upon Cain is to drive him out of the land (4:10-11). God caused him to be a homeless wanderer on the earth (4:12). So, out goes Cain into the land of Nod (in Hebrew, Nod literally means "wandering") in 4:16. Then in 4:17 there appears a new person in the narrative, Cain's wife! Where should we suppose she came from? Should we assume, as some skeptics do, that there was another race or civilization of people who are living in the "land of wandering" east of Eden? Or should we continue to take the details of the narrative as they've been given? The details that say this unnamed woman, who was Cain's wife, was part of "all the living" who were born to Eve just a few verses earlier? It is not uncommon for the Scriptures to give general information with a lack of specifics about the number and names of children. Especially as it relates to women. Anyone catch the names of Ham, Shem, and Japheth's wives? How about Noah's wife? Read that passage very carefully. Adam and Eve are the parents of "humankind." Adam and Eve had (at least) 2 sons, Cain and Abel, in the first 130 years of their life. After Cain murdered Abel, they had a third son named Seth when Adam was 130 years old. Adam ended up living to be 930 years old. And during this 930 years they had other sons and daughters. The Bible simply doesn't tell us. We can be sure, however, that Adam and Eve had a bunch of kids - both sons and daughters - during their lifetime. No other people existed on the earth because Eve is the mother of all the living. It is through Adam and Eve that more humans come into existence. At least, until their offspring start reproducing as well. 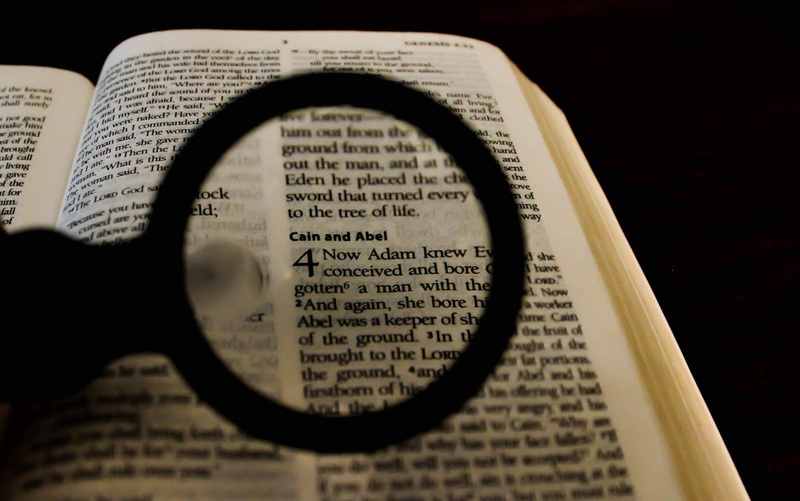 If we assume that Cain found a wife, we are again reading something into the text. Not out of it. The simplest explanation of what occurred is that Cain was kicked-out of the land of Eden, so he (and his wife) left for the land of Nod. When they got there, Mrs. Cain makes her first appearance in the narrative because her participation in the "knowing" that results in Enoch's conception and birth is pretty important. These are parallel passages about Jesus' burial. One account describes Joseph of Arimathea and makes it sound like he's alone. The other talks about Nicodemus. Is this contradictory? No! John has a purpose for telling us that Nicodemus is there. Nicodemus played an important role throughout the Gospel of John. Mark ignores Nicodemus because if he mentioned him, everyone reading or hearing this account would of said, "Who?" It's not sexist. It's a matter of relevance. We get details when they are necessary. It was true of Cain's wife (a female) and it was true about Nicodemus (a male). It happens a lot in biblical narrative, if you're paying close attention. Mrs. Cain did not need to be a part of the story until Cain (and his bride) found themselves in Nod. Once she was relevant to the story being told the narrator tells us about her. If we were to ask the narrator - Moses - the same question: Where did Cain's wife come from?, I am inclined to believe that he would answer, "I already told you that Eve was the mother of all the living... she came from Eve just like everyone else!" There is a final objection to this response that wasn't explicitly raised but often comes up: Mrs. Cain couldn't be Cain's wife because God said you can't marry your sister! But this is an anachronism. The Law to which these objectors refer is thousands of years away from being given to Moses. If God intended for Adam and Eve to really be the parents of humanity, He would have expected that their offspring would have continued to reproduce with each other. The genetic problems that arise as a result of persons too close in lineage reproducing wouldn't have affected them. Anyway, I hope this helps clarify where Mrs. Cain came from!